This post, though a bit breathless, is extremely interesting. 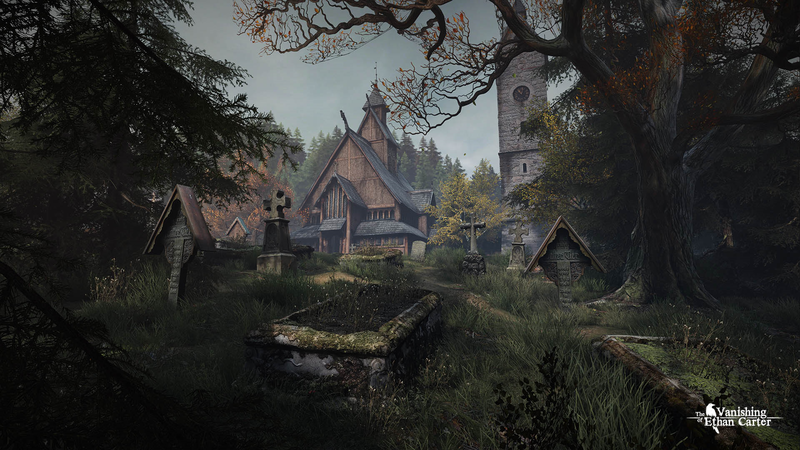 It’s how an upcoming game, The Vanishing of Ethan Carter, makes stunning game imagery… essentially by taking a shitload of hi-res photos, then using software to turn them near-automatically into a 3-d model. Let me guess, we dig up all the graves for coins and rusty weapons? It’s certainly not a time-saver– you have to take pictures very carefully on location, and the whole idea is that assets aren’t very re-usable… you’re modeling an entire church, say, and not just making a tileable brick wall. The nice thing is that the textures aren’t tiled– they have contextually meaningful dirt and shade and mold and whatever. Photorealistic textures still look wrong and artificial if they’re too even, too widely used, or have no apparent flaws. Wouldn’t you take your gloves off for this? It’s all photorealistic, but look at the way the combination dial just floats in the middle of the safe. Real things have transitions from one surface to another. There should also be shadows (and maybe distortions in the fabric) under the edge of Catwoman’s glove, and under that weird metallic knob on her shoulder. Now, in a game, you normally don’t focus on that stuff… really, we want to be fooled. Especially in the middle of action, you can get away with pretty simple models. If you’re trying to make a game on your own, on the other hand, learning about someone else’s new, better methods can be depressing. It’s hard enough making tileable textures! And god, don’t get me started on foliage. There’s a reason so many games are set in dungeons, sci-fi futurescapes, deserts, and sewers. They’re geometric! It’s still really hard to do good vegetation.